In this post, we distill the top 10 LSAT tips to help you prepare the best you can. 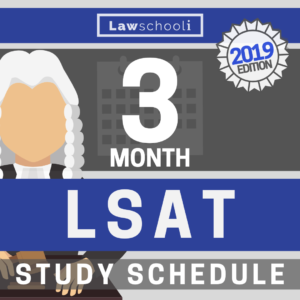 Prepping for the LSAT is often the first thing a person does on the way to being a lawyer, but it’s arguably among of the most important. A few points either way on your LSAT may mean everything when it comes to which school you go to and how much money they give you. Start with these top 10 LSAT tips and you won’t go wrong. There is no substitute for doing actual, official LSAT test preps questions and lots of them. It is especially important when you self-study that you do nearly every published test that is available to you. 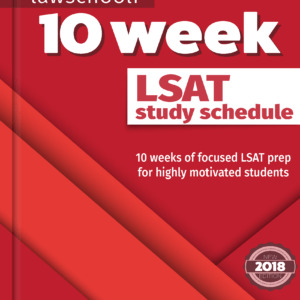 The LSAT is not about memorizing material or learning tricks or shortcuts- it’s about drilling all these different question types into your brain (see tip #2). 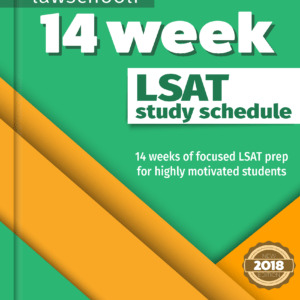 The main idea of LSAT prep is to become so familiar with the different forms of questions that you will see on the test that answering them becomes automatic. When you are automatic, your brain won’t need to expend effort on processing the form of the question, and instead can focus on the new information each question presents. Doing a ton of real preptest questions is the only way to gain this skill. Check out this List of Every Actual, Official LSAT Prep Test to get started. I can’t tell you how many tutoring students I’ve encountered who are retaking the LSAT because they didn’t give it their all the on the first try. Don’t waste time and money giving this test anything short of your very best the first time you take it. That means following the advice on this blog and in other sources about the proper length of prep time. We recommend about 3 months of study. Prepping hard for the LSAT also means being intense about it: study as much as you can without getting totally sick of it. Alternate hard and light days of study and remember to take a full day where you do absolutely no LSAT prep each week. These steps help to prevent burnout. Attack any areas of weakness early and hard when doing your LSAT prep. The part of the LSAT that most people struggle with at first is logic games. If this is you, count yourself lucky because it is the most teachable section. Check here for ways to get started with attacking the logic games section. As you get more practice, continue honing in on problem areas. Perhaps “over-funded” logic games or “must be true” logical reasoning questions are giving you trouble. The only way to figure out these details is to pay close attention when going over problems that you got wrong. We suggest keeping a log for a while to figure out where you are missing the most points. Do your research and get the best LSAT prep books available on the market. The most important thing is that you pick a system of diagramming and stick with it. Our full recommendations for what you need to prep on the LSAT are here. The beginning of your LSAT prep is all about building accuracy. For the first couple of weeks do only untimed questions so as to build accuracy. Speed will start to come naturally as you improve. When you start to see improvements, experiment with timing by noting when you have run over the allotted time, but keep working on the problems until you have finished. When you are hitting most question within the allotted time then it’s time to start doing full timed sections. Building up your prep this way helps instill confidence and teaches your brain how to do the questions under ideal conditions before adding full-time pressure. Remember that not all questions are created equal. If a question seems easy, chances are it is and you will need to be spending less time on it than on other, more difficult problems. Doing lots of timed sections is absolutely essential to developing a sense of the right pace. DO NOT SKIP AROUND SECTIONS LOOKING FOR EASY QUESTIONS. Go quickly and in order. If a question is too difficult to answer with some degree of confidence, don’t spin your wheels on it: pick the best answer you see at the moment and circle the question so that you can come back to it. See our post on timing logical reasoning questions here. Future lawyers tend to be the type that of students who take things seriously, but there are limits to how much you should obsess over your LSAT prep. When you aren’t actually doing prep work, make sure you get your mind off the test. Exercise is a great way to distract yourself while giving your brain a serious boost. Also, check out our full post on managing stress before the LSAT. Staying healthy by eating right, exercising, and getting plenty of sleep is key to success. Remember that LSAT prep should never be coming out of your sleep time. One of the most important LSAT tips on this list: DO PLENTY OF FULL, TIMED PREPTESTS. The latter part of your test prep, especially the last month, is all about building stamina so that you don’t run out of steam on test day. Being the best short-distance LSAT taker in the world is going to be no help if you are totally zoned out by section 5. Maintaining focus for the entire time requires training. Do this by simulating testing conditions and doing LSAT preptests in five full sections. Note LSATs are only published with four sections (the experimental section is omitted) add the fifth section by taking one from an older test that you have not used yet. It sounds like overkill, but doing this is seriously worth it. You are going to want to know ahead of time if your LSAT room has tiny desks (like mine did) or if it’s going to be absolutely freezing on test day. Being ready for conditions like these will reduce your stress considerably. If you can, do a simulated test right there in the room where you will be actually taking the test. Tutors will help you nail down weaknesses and drill them out of you. Also, they may have strategies that you have not thought of yet for solving something. Having a real person explain something helps it all click that much faster. Make sure your tutor is familiar with the diagramming system you have chosen so they aren’t trying to overwrite what you have learned, but rather build on it. Also, tutors are great counselors and can help reduce your anxiety as your test day approaches. They have been there and done that so they can get you be ready for whatever comes. Best of luck and remember to follow these top ten LSAT tips. Ask us anything in the comments, and follow us for plenty more detailed posts on the best LSAT strategies. Previous ArticleShould Law School Be Two Years Long? Next Article When Should You Diagram LSAT Logical Reasoning Questions? will you be my tutor, then? 🙂 sounds like you’d be the perfect one!